The Kia brand of budget cars will be introduced in India during 2019. 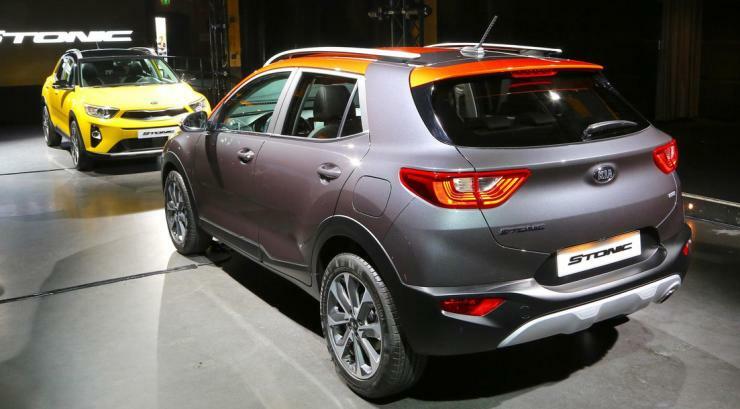 The Stonic compact SUV could be a model that Kia introduces in the Indian market. Hyundai’s design chief Peter Schreyer has noted that the Stonic would fit the Indian market very well. If launched here, the Stonic will take on the Hyundai Creta and the Renault Duster. The Stonic measures 4.14 meters in length, and made its international debut earlier this year, at the Frankfurt Motor Show. It is based on the Hyundai i20 platform and is expected to get petrol and diesel engine options. It will also get manual and automatic gearbox options. The Stonic is a modern, stylish crossover meant for urban car buyers, the kinds who also buy the Creta and Duster. The SUV gets contemporary interiors with high-tech connectivity and entertainment features. Kia recently conducted a roadshow in India, where no less than 7 cars and SUVs were shown. The vehicles showcased were the Sportage, Sorento and Niro SUVs, the Rio hatchback and sedan, and the Forte and Optima sedans. The South Korean brand, owned by Hyundai, is setting up a factory at Andhra’s Sri City by investing around 1 billion US dollars. The factory will have a capacity of producing 3 lakh cars per year. The exact cars that will be launched in India are yet to be announced. Kia is expected to showcase India-bound cars at next year’s Indian Auto Expo.